NUA’s innovative careers game, Profile, is one the finalists in this year’s Guardian University Awards. 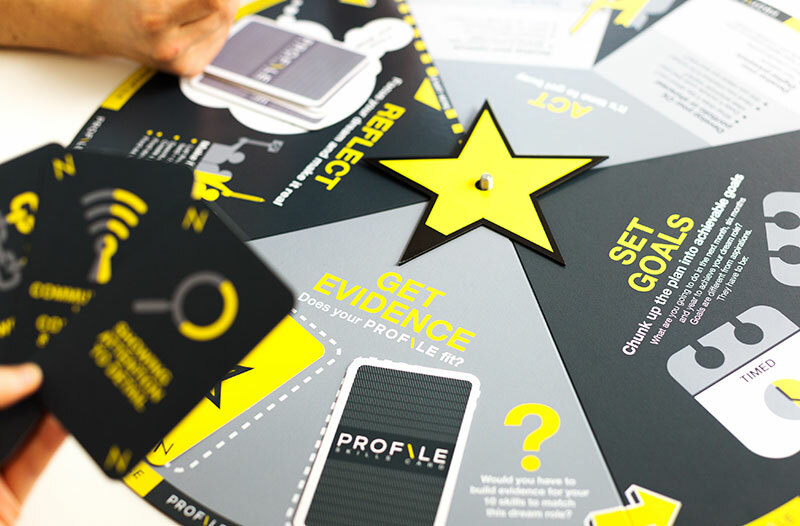 Profile, a card and board game, challenges students to match real-world workplace issues – from dealing with feedback and deadlines to pursuing funding opportunities and client pitches – to the skills and character attributes they need to resolve them. Gamification of the university’s careers advice has deepened and more than doubled student engagement. The winner will be announced at an awards ceremony in London on Wednesday 10 April 2019.